The following forms a legal agreement between you and Aqua Pura Water Products ("aquapurawater.ca"). By using this site you are acknowledging that you have read, understood, and agree to be bound by these terms and all applicable laws and regulations. If you do not agree to these terms please do not use this site. The material provided on this site is protected by law, including, but not limited to, Canadian Copyright Law and international treaties. Any claim relating to the use of this site, its materials and any sales thereunder is governed by the laws of the Province on Ontario, without regard to conflict of laws rules and Ontario will be the sole jurisdiction and venue for any litigation arising from the use of or orders made on the site. The copyright in all material provided on this site is held by Aqua Pura Water Products. 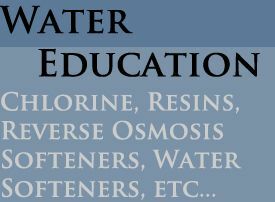 Except as stated herein, none of the material may be copied, reproduced, distributed, republished, downloaded, displayed, posted or transmitted in any form or by any means including, but not limited to, electronic, mechanical, photocopying, recording, or otherwise without the prior written permission of Aqua Pura Water Products. Permission is granted to display, copy or distribute and download the materials on this site for personal, non-commercial use only, provided you do not modify the materials and that you retain all copyright and other proprietary notices contained in the materials. This permission terminates automatically if you breach any of these terms or conditions or upon the request of Aqua Pura Water Products. Upon termination you must immediately destroy any downloaded and printed materials. You also can not "mirror" any material contained on this site. Any unauthorized use of any material contained on this site may violate copyright laws, trademark laws, and various other regulations and statutes. The trademarks, service marks and logos (the "Trademarks") used and displayed on this site are registered and unregistered Trademarks of Aqua Pura Water Products and others. Nothing on this site should be construed as granting, by implication, estoppel, or otherwise, any license or right to use any Trademark displayed on this site without the written permission of the Trademark owner Aqua Pura Water Products enforces its intellectual property rights to the fullest extent of the law. Aqua Pura Water Products prohibits use of the Aqua Pura Water Products logo as a "hot" link to the Aqua Pura Water Products site unless establishment of such a link is approved in advance by Aqua Pura Water Products in writing. THIS WEBSITE AND THE INFORMATION PROVIDED HEREIN ARE PROVIDED "AS IS" WITHOUT WARRANTIES OF ANY KIND EITHER EXPRESS OR IMPLIED. TO THE FULLEST EXTENT POSSIBLE PURSUANT TO THE APPLICABLE LAW, AQUA PURA WATER PRODUCTS DISCLAIMS ALL WARRANTIES, EXPRESSED OR IMPLIED, INCLUDING, BUT NOT LIMITED TO, IMPLIED WARRANTIES OF MERCHANTABILITY, FITNESS FOR A PARTICULAR PURPOSE, NON-INFRINGEMENT OR OTHER VIOLATION OF RIGHTS. AQUA PURA WATER PRODUCTS DOES NOT WARRANT OR MAKE ANY REPRESENTATIONS REGARDING THE USE, VALIDITY, ACCURACY, OR RELIABILITY OF, OR THE RESULTS OF THE USE OF, OR OTHERWISE RESPECTING, THE MATERIALS OR PRODUCTS ON THIS SITE OR ANY SITES LINKED TO THIS SITE. UNDER NO CIRCUMSTANCES, INCLUDING, BUT NOT LIMITED TO, NEGLIGENCE, SHALL AQUA PURA WATER PRODUCTS BE LIABLE FOR ANY DIRECT, INDIRECT, SPECIAL, INCIDENTAL OR CONSEQUENTIAL DAMAGES, INCLUDING, BUT NOT LIMITED TO, HARM TO EQUIPMENT AND/OR PERSONAL INJURY OR DEATH, ARISING OUT OF THE USE, OR THE INABILITY TO USE, THE MATERIALS ON THIS SITE, EVEN IF AQUA PURA WATER PRODUCTS OR A AQUA PURA WATER PRODUCTS AUTHORIZED REPRESENTATIVE HAS BEEN ADVISED OF THE POSSIBILITY OF SUCH DAMAGES. IF YOUR USE OF MATERIALS FROM THIS SITE RESULT IN THE NEED FOR SERVICING, REPAIR OR CORRECTION OF ANY ITEM YOU ASSUME ANY COST THEREOF. SOME STATES DO NOT ALLOW THE EXCLUSION OR LIMITATION OF INCIDENTAL OR CONSEQUENTIAL DAMAGES, SO THE ABOVE LIMITATION OR EXCLUSION MAY NOT APPLY TO YOU. In the event a product is listed at an incorrect price due to a typographical error, entry error or error in pricing information received from our suppliers, Aqua Pura Water Products shall have the right to refuse or cancel any orders placed for said product(s). Although your credit card normally is not charged prior to shipping an order, if your credit card has already been charged for the purchase and the order is canceled. Aqua Pura Water Products will immediately issue a credit to your credit card account in the amount of the incorrect price. Your receipt of an electronic or other form of order confirmation does not signify our acceptance of your order, nor does it constitute confirmation of our offer to sell. Aqua Pura Water Products reserves the right at any time after receipt of your order to accept or decline your order for any reason. Aqua Pura Water Products is a reseller to end-users and does not accept orders from dealers, exporters, wholesalers, or other customers who intend to resell the products purchased from Aqua Pura Water Products. Aqua Pura Water Products withholds applicable sales tax for orders to be delivered to addresses within Ontario and out-of-province addresses. Each customer shall be solely responsible for all sales taxes, or other taxes, on orders shipped to any other location. Aqua Pura Water Products is committed to the preservation of online privacy for all of its web site visitors, including children. Consistent with the Children's Online Privacy Protection Act, we will not knowingly collect any personally identifiable information from children under the age of 13. Aqua Pura Water Products sells products intended for purchase by adults. If you make a purchase on aquapurawater.ca, you are representing that you are an adult. If you are a child under the age of 13, you must ask your parent or guardian to assist you in using aquapurawater.ca.